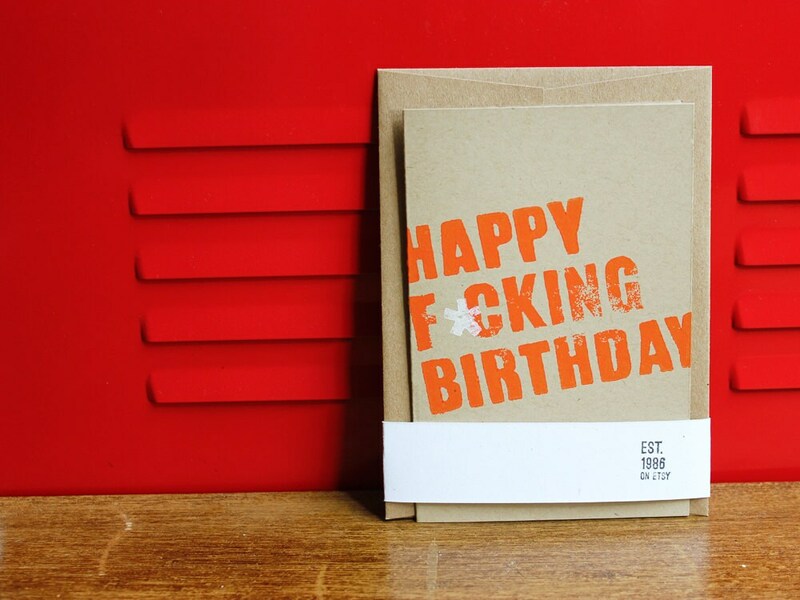 4x6" folded Happy F*cking Birthday card. Card is a 2-process linoleum block print on 140 lb. Muscletone cover stock from French Paper Co. 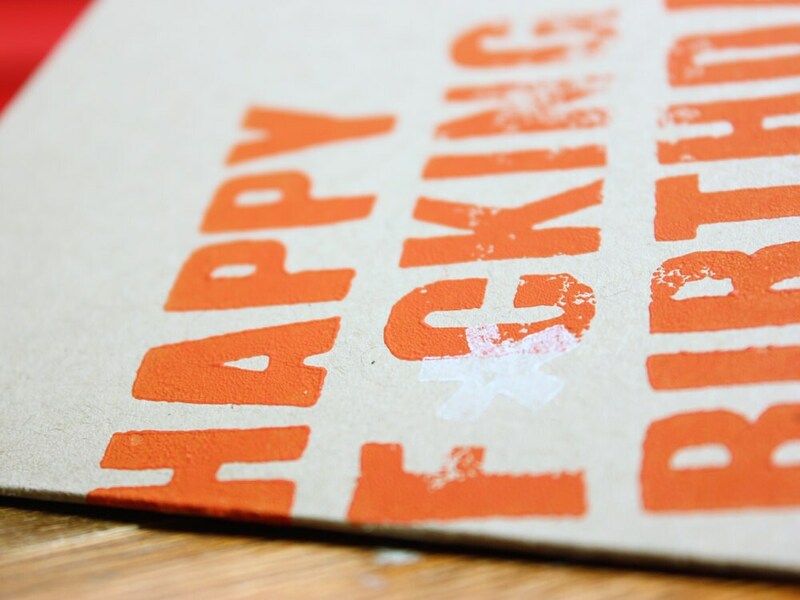 Printed in orange with white asterisk overprint. Inside is blank. Each print is individually pressed by hand and will contain some unique imperfections. Thank you! The card was very nicely packed and arrived in perfect condition. 'Twill make for an excellent f*cking birthday indeed.